Looking for an easy-read Bible? Dive deeper into God's Word with this bright, colourful, premium value larger print edition of the popular NKJV Bible. Thomas Nelson's Personal Size Giant Print Reference Bible presents the complete Bible with all the study aids you need to get a closer look at Scripture. Helpful notes, references, book introductions and more will strengthen your Bible knowledge, and with easy-to-read giant print type, exploring the beauty and meaning of God's Word will be more enjoyable than ever. Perfect for individual or group study, teaching and ministry work, the Personal Size Giant Print Reference Bible is a great resource for anyone seeking a Bible with all the essentials to dive deeper into the study of Scripture. 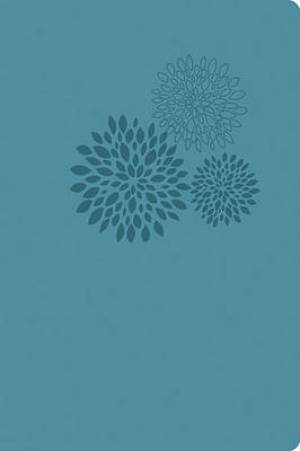 NKJV Personal Size Giant Print Reference Bible Essential Imitation Leather Turquoise by Thomas Nelson was published by Thomas Nelson in January 2013 and is our 7829th best seller. The ISBN for NKJV Personal Size Giant Print Reference Bible Essential Imitation Leather Turquoise is 9781401678432. Be the first to review NKJV Personal Size Giant Print Reference Bible Essential Imitation Leather Turquoise! Got a question? No problem! Just click here to ask us about NKJV Personal Size Giant Print Reference Bible Essential Imitation Leather Turquoise.